Bread baskets | table basket | egg basket bio & fairtrade | wooden baskets | fruit baskets. Big straw bowl in different colours. Diameter 45 cm x height 5 cm. Handmade in Senegal, fair trade. Big straw bowl in silver grey. Diameter 45 cm x height 5 cm. Handmade in Senegal, fair trade. Big straw bowl in different colours. Black. Diameter 45 cm x height 5 cm. Handmade in Senegal, fair trade. Straw fruitbasket with recycled plastic. In three sizes. Small, medium and large. Baskets Beads and basics. Wooden fruit bowl. Scandinavian design. Diameter 25 cm. Height 4 cm. Fair trade acaciawood from the Philippines. Wooden fruit bowl. Diameter 30 cm. Height 5 cm. Fair trade acaciawood from the Philippines. 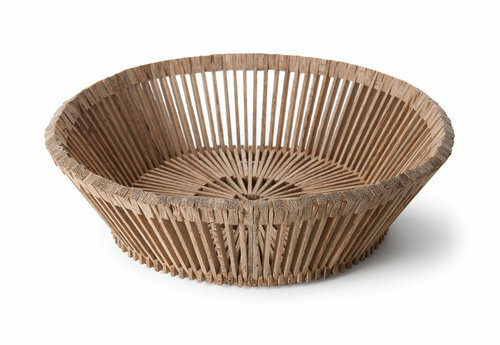 Wooden bowl made of palmwood. Diameter 50 cm. Design by Piet Hein Eek van Fair Trade Original. Set of three round straw bowls. Three sizes. With coloured plastic. Fairtrade. Baskets, beads and basics. Set of three round straw bowls. Three sizes. With black-white plastic. Fairtrade. Baskets, beads and basics. Set of three round straw bowls. Three sizes. With black plastic. Fairtrade. Baskets, beads and basics. Big wooden haert shaped bowl. Sizes diameter 30 cm or 20 cm. Made of acaciawood. Fairtrade from the Fillipines. Big wooden haert shaped; bowl. Size diameter 25cm. Made of acaciawood. Fairtrade from the Fillipines. Wooden cake plateau. Diameter 30 cm. Height 13 cm. Fair trade acaciawood from the Philippines. Rectangled basket, made of palmleave. 45 x 35 x 13 cm. Fairtrade, made in Bangladesh. 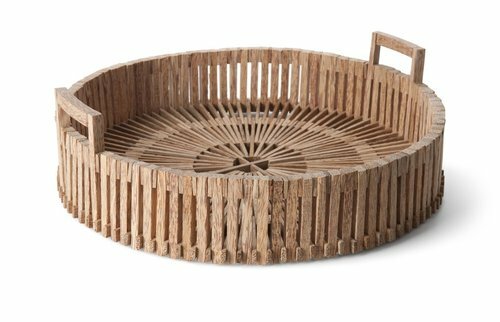 Round bamboo basket. Natural. Diameter 30cm x Height 9 cm. Fair Trade Original. 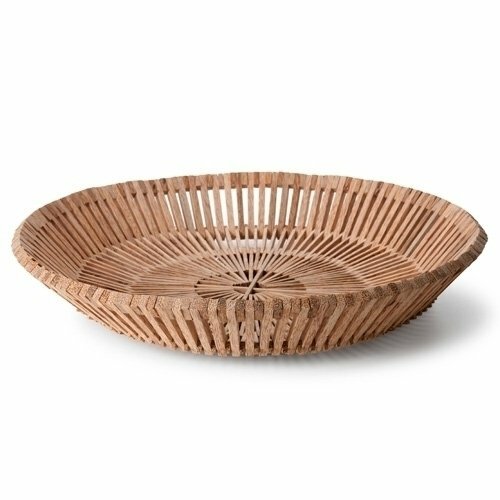 Round bamboo basket. Rectangled 30x12x6 cm or 43x20x11. Fair Trade Original.